'Heartstrings' is in discussion for possible episode downsize. MBC Wednesday-Thursday drama 'Heartstrings' is currently in discussion for shortening. The drama was originally planned to end with 16 episodes on August 18. 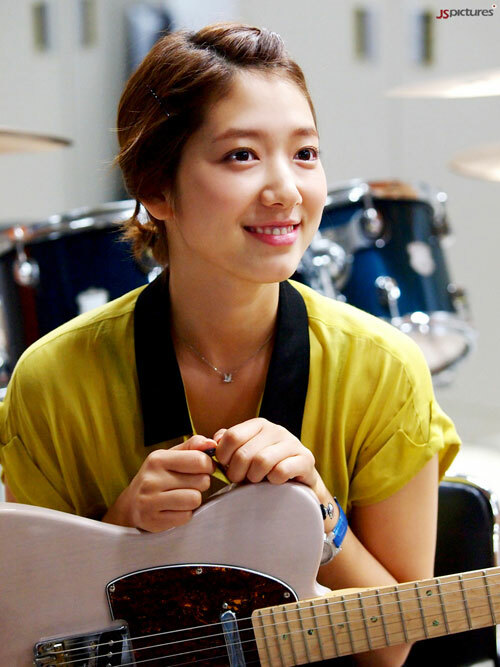 However, there might be a possibility that Heartstrings will end with 15 episodes. Reason being lead actress Park Shin Hye had an accident last month, which caused filming to suspend temporarily. As a result, a special episode was aired in place of Episode 8 on July 21. Criticism also points towards PD Pyo Min Soo, who has left the directing position to work with the scripting team. The PD is never on spot filming and directing and the script is said to be running in circles. MBC officials claim 'The original contract between MBC and Heartstrings production team states that the drama will end on August 18 with 16 episodes. If you include the special episode (and the 15 episodes), it still meets the contract." In response to this, production company of 'Heartstrings' contacted OSEN News today and said "The rumors saying that Heartstrings will downsize to 15 episodes are not true. Nothing is being discussed yet. The contract clearly says the drama will have a 16-episode broadcast run. Further changes may occur, but as of now, nothing is decided." "Park Shin Hye's car accident led to a broadcast of a special episode on July 21 instead of Episode 8. We are now currently discussing how to end the drama with 16 episodes. Please give our drama a lot of support." The possible downsize is having impact on the cast as they are disappointed. "Although lead actors Park Shin Hye and Jung Yonghwa are tired and weak, they are still filming throughout the night. But thanks to their enthusiasm, the drama is able to regain its energy." Although it is not clear yet whether Heartstrings will end with 15 or 16 episodes, viewers can expect a blooming romance between Park Shin Hye and Jung Yonghwa in the coming episodes of Heartstrings. Episode 10 will be aired tonight on MBC at 9:55pm. The episode will feature Kyu Won and Lee Shin's romance as well as the reason behind Kyu Won turning into a 'guitar girl'. Remember to tune in and give the drama your support!! Fighting! I'm sad to hear this. I hope MBC will reconsider, pretty please!!!!!! yes i hope they will extend the episodes, 16 seems too few for me :( what even 15??? park shin hye and Jung Yonghwa, i like u as a real couple, your drama is cool, So don't cut it short plsss!!!!!! MBC management plss stay them long.... i love them many fans in our country is crying allready. HEARTSTRINGS..... love it!! I hope they will not cut it down but instead, add more!!! But 16 episodes will suffice for now, just like in YB. I can't take more drama, i just want to see more romance between Shin and Gyu Won. :) My day is always complete and is always good after viewing Heartstrings. True true. If you are going to cut down the episodes at least make another season. I will wait for it. Thanks for the great drama. 물론 그것이 다 있기 때문에 그들은 그것을 변화 아니지만 나는 그들이 모두 그들이 연인 하하 공원 신 이완 파이팅 될에서도 될 다른 드라마가 를 바라는 희망 말입!